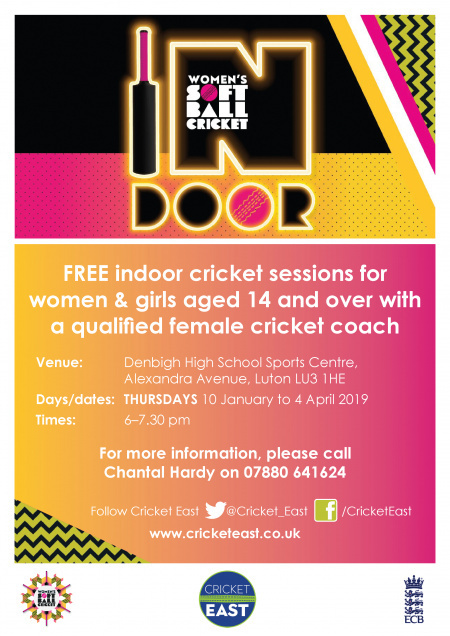 FREE Indoor Cricket Sessions running on THURSDAYS running to 11 April 6-7.30pm at Denbigh High Sports Centre, Alexandra Avenue, Luton LU3 1HE. 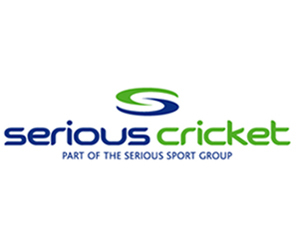 For women & girls aged 14 and over with a qualified female cricket coach. Take a look at a recent session with a focus on bowling and keeping the arm straight! To download a flyer, click on the link below. For more information, please contact Chantal Hardy at chantal.hardy@cricketeast.co.uk on 07880 641624.